The contemporary art scene in Africa is dynamic and diverse, teeming with extraordinary talented and passionate artists using their work to reflect the continent’s cultural diversity, natural beauty, and long history. Although formal exhibition spaces remain limited in many African countries, there are a growing number of exceptional independent art galleries across the continent promoting and exhibiting the best of African contemporary art. We explore ten of these galleries and offer a unique Special Offer promotion from one of the best galleries in Uganda. 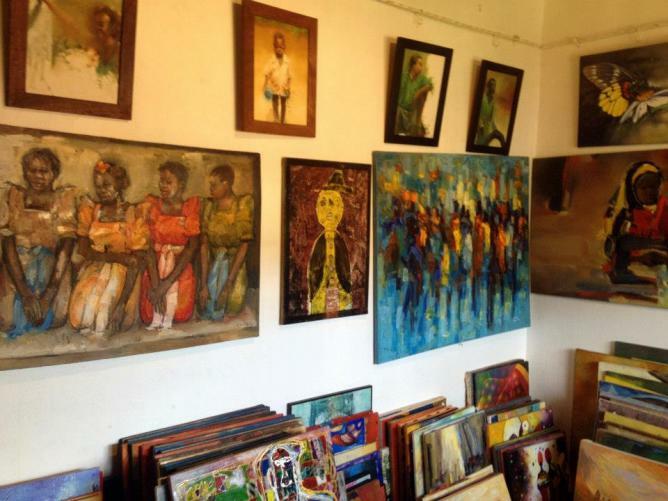 A leading contemporary art gallery in the East African country of Uganda, the Afriart Gallery exhibits an exquisite selection of Ugandan and African art. 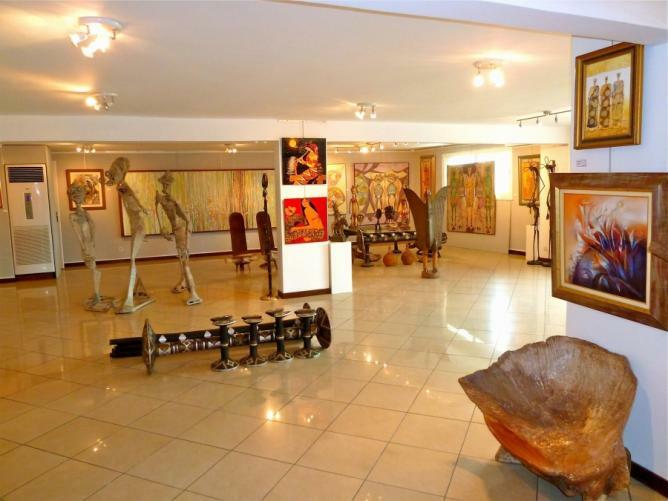 Representing both well-established and rising artists, the gallery’s interior is filled with beautiful paintings and sculptures and has featured well-known local artists such as Edison Mugalu and Paulo Akiiki. 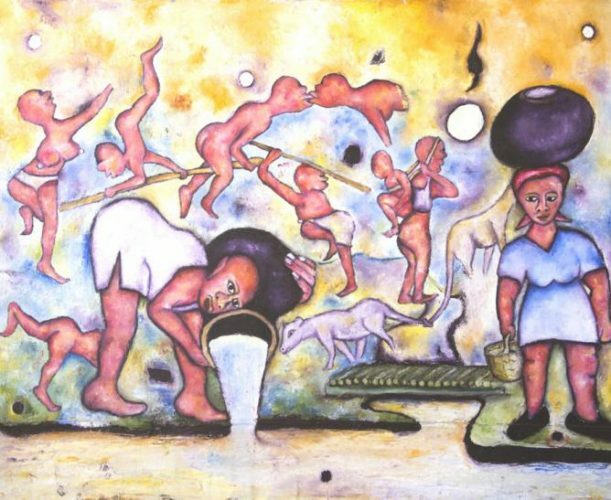 Regularly exhibiting the artwork of different artists, Afriart has become a focal point amongst the artistic community in Kampala’s budding art scene. The gallery also provides art consulting services and runs a craft shop selling art books, ceramics, statues, traditional fabrics, locally designed clothes and recycled glassware. Housed in a conspicuous red double-storey building, the Afriart Gallery is hard to miss. The Goodman Gallery is at the forefront of contemporary art in South Africa, showcasing prominent artists and up-and-coming creative talents from South Africa, the rest of the African continent, and international artists who portray the African context through their artwork. With an ethos of developing artistic talent and cultural consciousness, the gallery focuses on artwork reflecting South Africa’s socio-political issues. Since its inception in 1966, the gallery has stood fast by its principles and encouraged all artists to showcase their work despite the stringent race laws during the apartheid era. 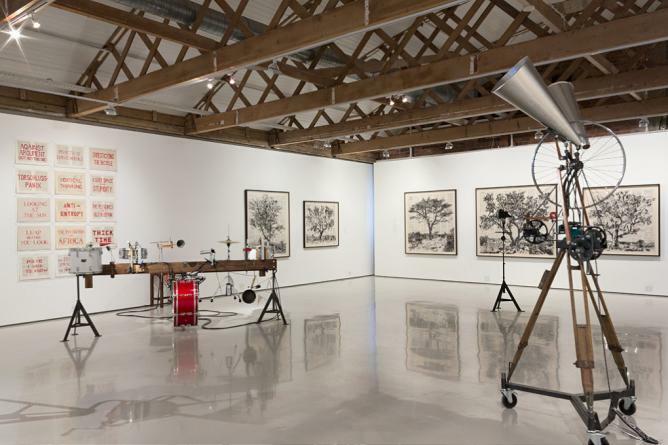 Today the gallery represents about 40 South African and African artists including William Kentridge, conceptual artist Kendell Geers, and photographer David Goldblatt. The First Floor Gallery Harare is the first independent contemporary gallery run by emerging artists in Zimbabwe. Founded in 2009, the gallery is situated in Harare’s busy inner city center. Showcasing the artwork of rising and promising contemporary Zimbabwean artists, the gallery supports their professional development by growing their exposure across local and international audiences, facilitating art workshops and classes, and serving as an interactive experimental space. 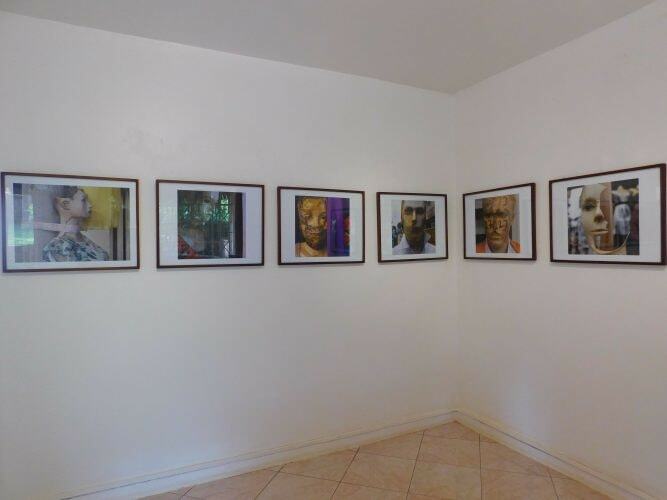 The First Floor Gallery hosts a number of interesting exhibitions throughout the year featuring local artists such as Moffat Takadiwa, Wycliffe Mundopa, and Mavis Tauzeni. Over the past few years, it has quickly become an important venue for fine arts, film, poetry, and music events. A true art gem situated on the outskirts of Nairobi, the Banana Hill Art Gallery exhibits a superb selection of beautiful African contemporary artwork and has showcased over 70 artists and sculptors principally from Kenya and East Africa.The gallery displays a variety of stunning and vibrant paintings and a few sculptures illustrating a range of subjects, uniquely captured through each artist’s personal interpretation reflecting day-to-day life in cities and rural areas, abstract art, cultural traditions, and Kenya’s rich wildlife and landscapes. Founded by Shine Tani, a brilliant artist himself, the gallery’s vision is to bring exposure to African artists and promote art appreciation in the region. 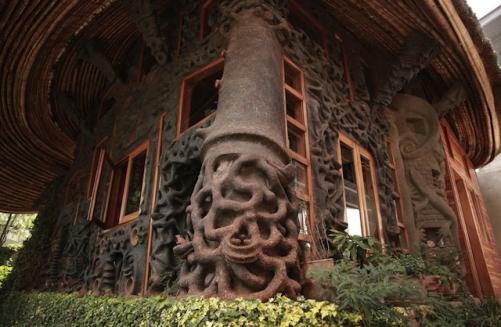 Created by one of Ethiopia’s most original and active artists, Elias Sime, the Zoma Contemporary Art Centre (ZCAC) seeks to promote multidisciplinary contemporary art, facilitate international exchange between artists, and inculcate a culture of environmentally conscious art projects in Ethiopia. Listed by the New York Times as one of the top places to visit in 2014, the ZCAC is situated in an extraordinary house made from mud, straw, and stone. Designed and sculpted by Sime, it represents the center’s philosophy of driving environmental sustainability through art. Regular exhibitions are held in the center’s showroom, and there is an open studio for visiting artists. In collaboration with partner institutions, the ZCAC also runs artist-in-residence and education programs, and has a second location in a small historic village called Harla. 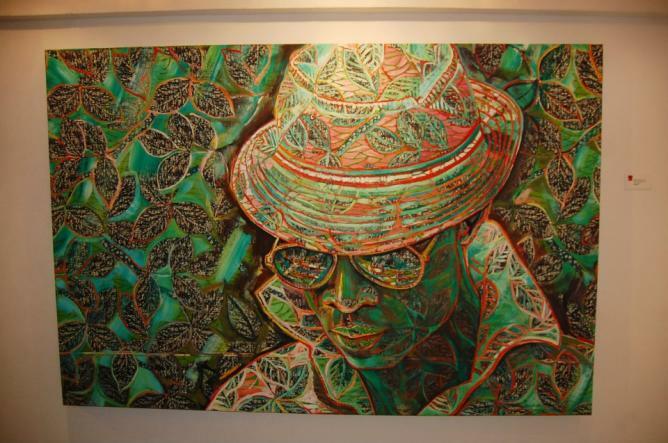 A leading contemporary art gallery in Nigeria, Omenka Gallery showcases the work of emerging and acclaimed Nigerian and international artists, and houses one of the most comprehensive collections of the renowned Nigerian painter and sculptor Ben Enwounwu. Hosting solo exhibitions, group shows, and large, themed exhibitions, Omenka also participates in a number of international art fairs, runs an active publications program, and facilitates workshops to encourage critical development and dialogue on contemporary art in the country and the continent at large. Omenka regularly collaborates with international artists such as South African photographer Cedric Nunn, Angolan artist Manuela Sambo, and London-born Ransome Stanley, to create a culture of experimentation and creative exchange between local and international artists. Situated in the Ivory Coast’s tropical bustling capital city, the Eureka Galerie is an outstanding gallery devoted to discovering, sharing and promoting appreciation of African contemporary art in Ivory Coast and the surrounding region. From paintings, wooden and bronze sculptures, to antique masks, traditional fabrics and textiles, the gallery spotlights a delightful collection of art pieces in its warm, earth-toned interior. 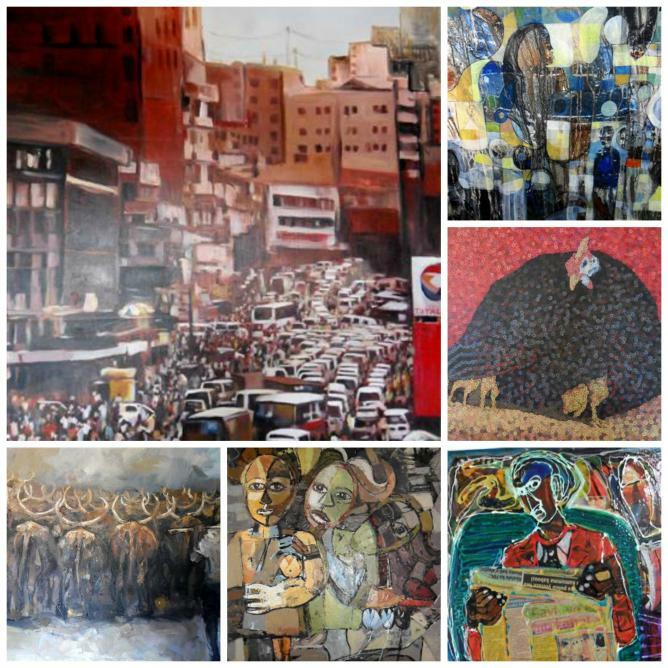 The Eureka gallery has displayed the artwork of groundbreaking African artists such as the Ghanaian painters Gabriel Eklou and Samkobee, Ivorian artists Salif Diabagaté and Djédjé Mel, as well as a few international artists such as French painter Jean Claude Heinen. Galerie El Marsa is dedicated to representing current trends and developing the potential of contemporary artists in Arab countries, with a particular focus on artists from Tunisia and the North African region. The gallery takes pride in supporting artists who have made an exceptional impact on the contemporary art scene in North Africa and features art pieces that illustrate the region’s historical and cultural diversity, shared history, and Mediterranean, Arab and African influences. 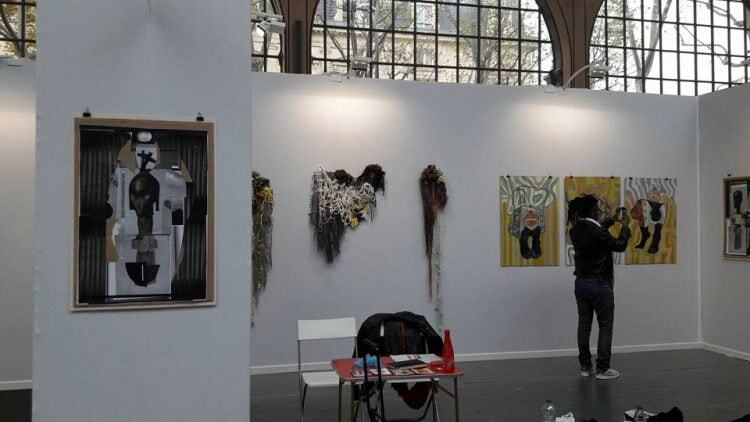 El Marsa has also enhanced its worldwide reputation by participating in international art fairs in Dubai, Abu Dhabi, Paris, Marrakech, and Miami, amongst others. 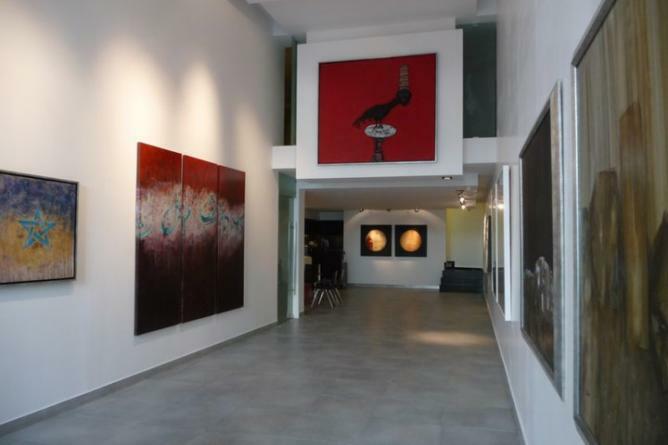 Located along the Mediterranean coast in El Marsa’s historic and artistic neighborhood, the gallery is situated in an idyllic setting next to the shoreline and is definitely worth a visit. Specializing in the promotion of Egyptian contemporary art, the Zamalek Art Gallery hosts a series of exciting monthly exhibitions featuring recognized and emerging young artists from Egypt. 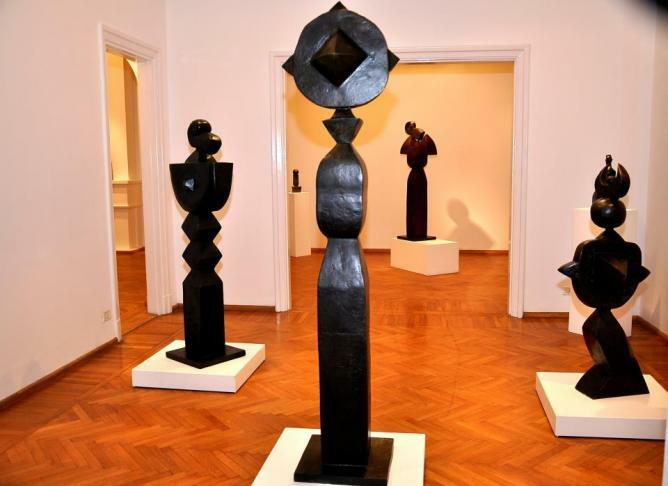 The gallery also houses a permanent collection of artwork from more than 20 prominent Egyptian artists such as painters Gazbia Sirry and Farouk Hosny, and the late Gamal El Sagini. All the artwork is elegantly presented in the gallery’s spacious interior, made up of spotless white walls, gleaming wooden floors, and arched doorways. 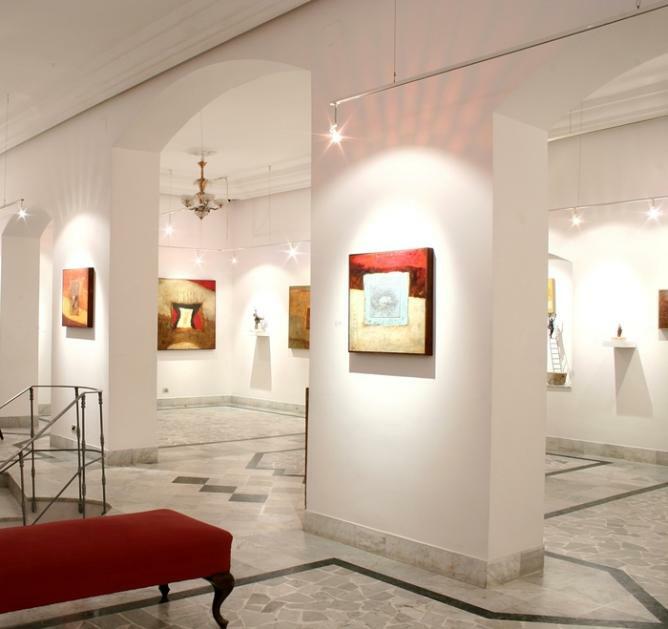 Privately owned, the gallery is nestled in the heart of Cairo’s cosmopolitan suburb where most of the city’s cultural events take place. One of the oldest and most sophisticated contemporary art galleries in Marrakech, the Matisse Art Gallery exhibits the work of up-and-coming and well-known Moroccan artists such as painters Farid Belkahia and Hassan El Glaoui, and calligrapher Noureddine Daifallah. 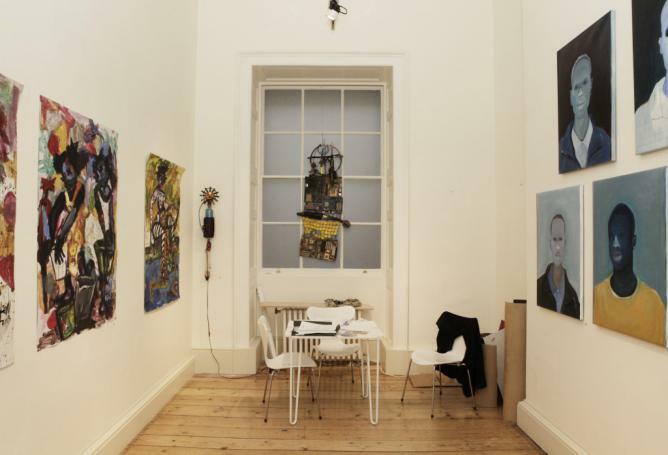 More recently, the gallery opened its doors to international artists to appeal to its growing worldwide clientele and has exhibited the artwork of a number of international famous 20th-century contemporary artists. The gallery regularly publishes catalogs and artist monographs and is actively involved in supporting young Moroccan artists and increasing public appreciation of Morocco’s art scene. Housed in an impressive building made out of polished black marble, the classy gallery also runs an art library open to all visitors.